Jumping Jehoshaphat before you can say Jack Robinson its time to play ABC Wednesday again. No doubt we will learn something, possibly who on earth was Jack Robinson. Was it a very volatile gentleman of that name who used to play flying visits to his neighbours, and was no sooner arriving then he was off again. Or was it a jolly Jack Tar who returned to find his love, tired of waiting, married to another, so he quickly left. The tenth letter of the alphabet is a modern introduction, only differentiated from I in the 17th Century. It was medieval practice to lengthen the I when it was the initial letter, usually with the consonant function now assumed by J. Just think if that had not happened we would be doing K this week. However I will try not to confuse and assure and confirm this week it is indeed ... J. So by Jove its time for high jinks, jeu d'esprit and jottings. Time to be taken on a journey that could be judicious, joyful or a jump into the unknown, one never knows until clicking on the link. So Join the jamboree and add your link below. Great post for the letter J. I learned something I didn't know (that J is a late invention). I have a leaf from a King James Bible that was printed in 1613. In it Jesus is spelled Iesvs. Ah, you learn something new every day, and I did not know this. I know a few people who probably wouldn't have their current names if it weren't for the letter J... very cool. I can't even imagine jam or jelly without the j. Love the linguistics lessons. Great introduction for the J Day!! Always learn something and it's always fun!! Now I understand why some of the J words years ago began with the letter I. Very interesting post for J day. Interesting...I would have been called Iane. What a fun way to JUMP into the J's. Good introduction.... and off we go.....! I'd heard about the I and J, but still find it peculiar. And fascinating. I'm Jumping for excitement to enter mg J link, but the inlinkz is still close. We have even a combination of I and J, pronounced as a double sound and both written as capital letters, when they open a sentence or are the initials of a name like: IJSSEL, IJSbrand, IJsselmonde. This post is beautiful especially now Jack Frost has gone! Joy, a great joy to learn that history of J.
Amazing! Lots of fun to all! Joy, thanks for the history lesson! 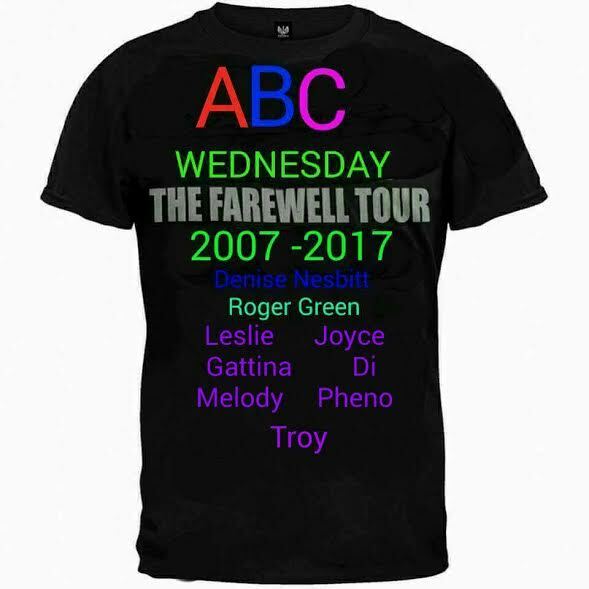 Happy ABC Wednesday to the team and all participants ~ just amazing how quickly Wednesday comes round ! What a beautiful artistic J for your introduction. It makes me want to learn to draw. I've had a jolly week thinking of all things J, thankyou all for hosting. Happy ABC Wednesday to everyone! My J for today is a flower called Kings Crown. Fascinating history of the letter J! This was tough for me. But I remain impressed with what the others posted. 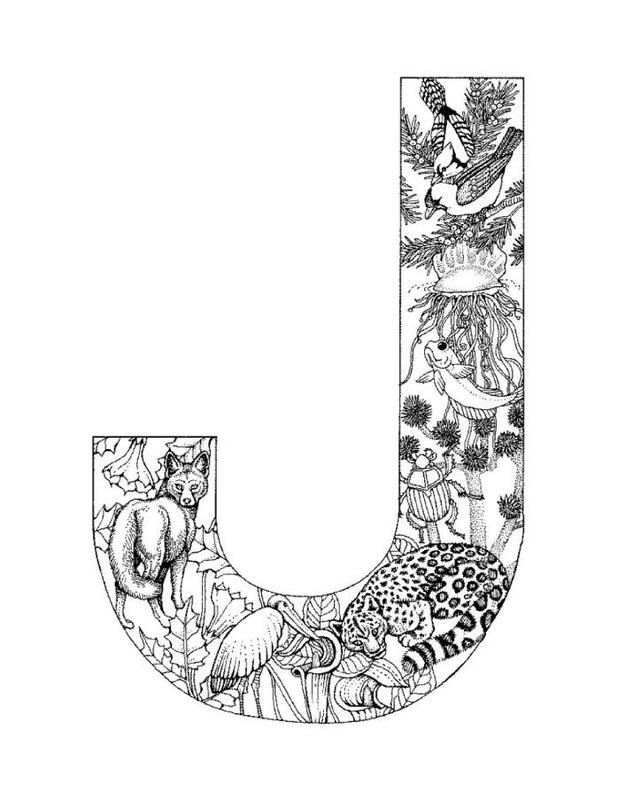 Learned something new about the independent life of letter "J." So, I wonder how they pronounced the J back then. It's fun to learn stuff like that. I have been waiting all week! I just love this, and, for some reason I could not link into the site yesterday:-( But, I'm here now, ready to visit and be visited! I'm just a jump away! J is for joining in again. THanks for hosting. Joining the jamboree woot woot! Superb, very interesting this information on J. Greetings. Just made it for today - hope everyone had a good day! great post on letter J. I am participating here for the first time. Welcome people to visit my blog and check out my posts. I shall be visiting some of your posts over the week as well. I wanted to comment on your "J" at the beginning of your post. It's great - did you create it? How do you do, H? !